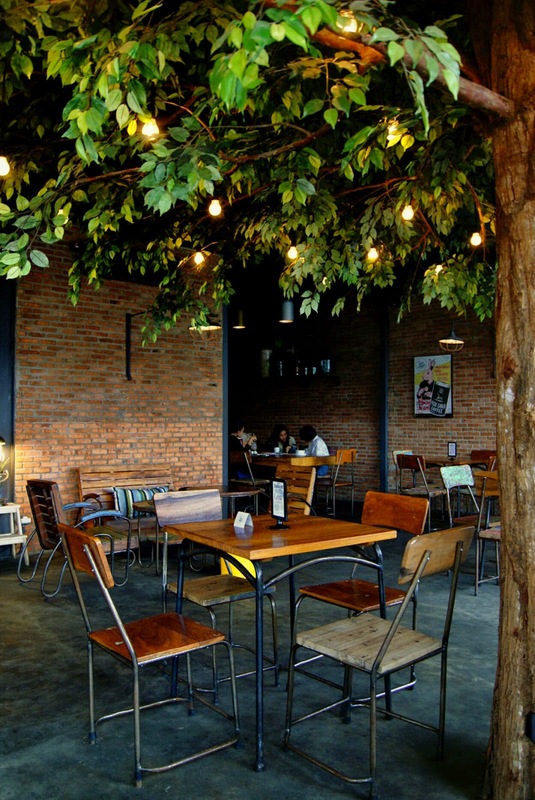 Another Good Eateries that fulfills the demands of Good Food, Great Venue with such a Nice Ambiance in Bogor. 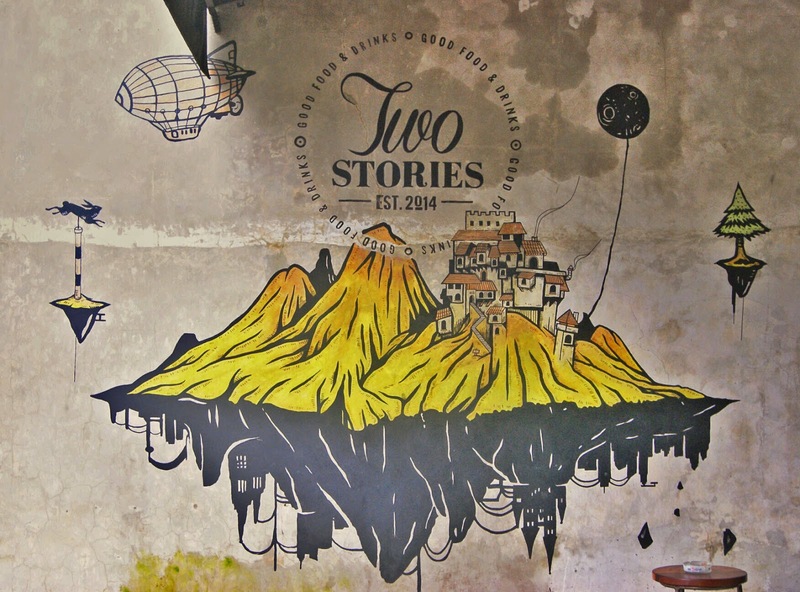 I think that this one is no need to introduce as some of you might know earlier than me so here it is, Two Stories Cafe, Bogor. 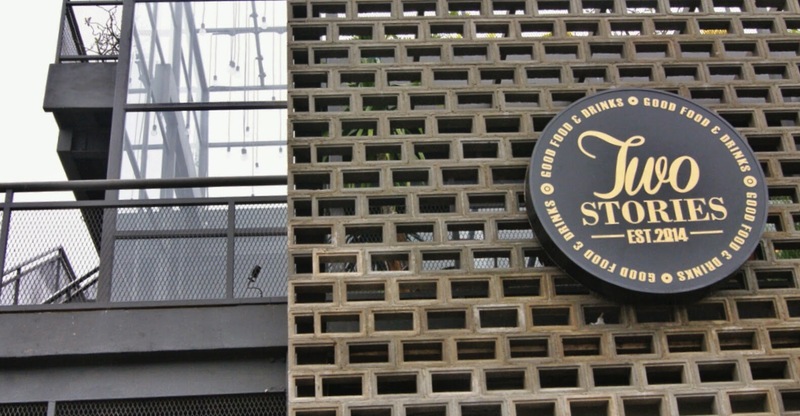 Why should i call this hipsterish dining venue as a cafe while it's more like Bistro for me ? 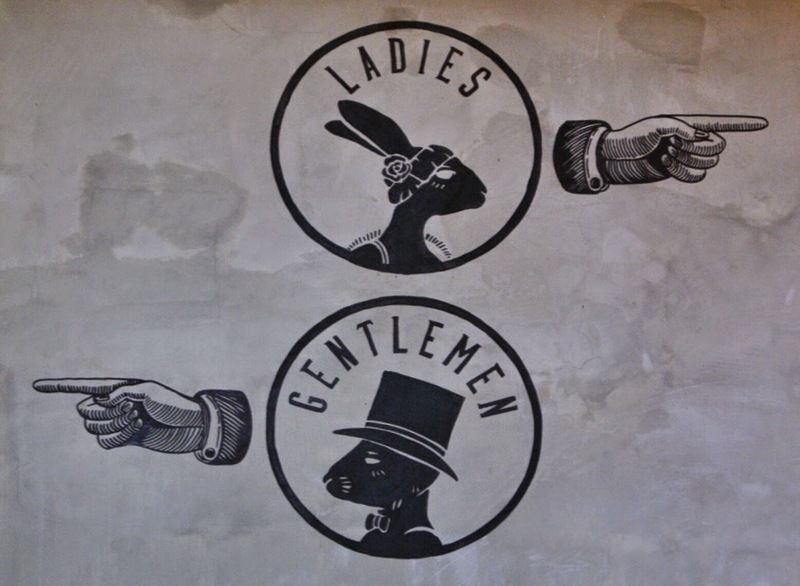 Okay then, whatever you called it, i don't care, as long as they're serving good food and good service, there you go. 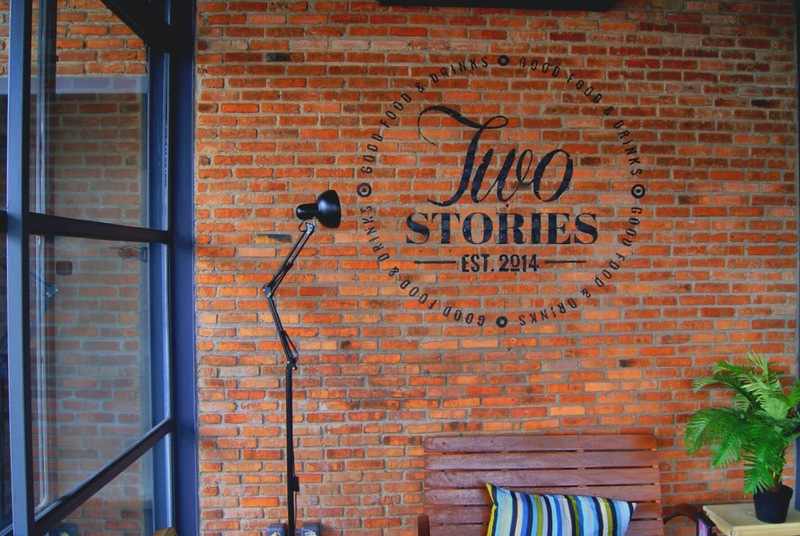 Two Stories starts open for public since October 2014, from the opening until now on Two Stories is continuously gain their existency and popularity amongs Bogorians because it hipster looks and venue. Located in the same area with Monarchy Bistro, making it such a tough competitor with similar segmentation. 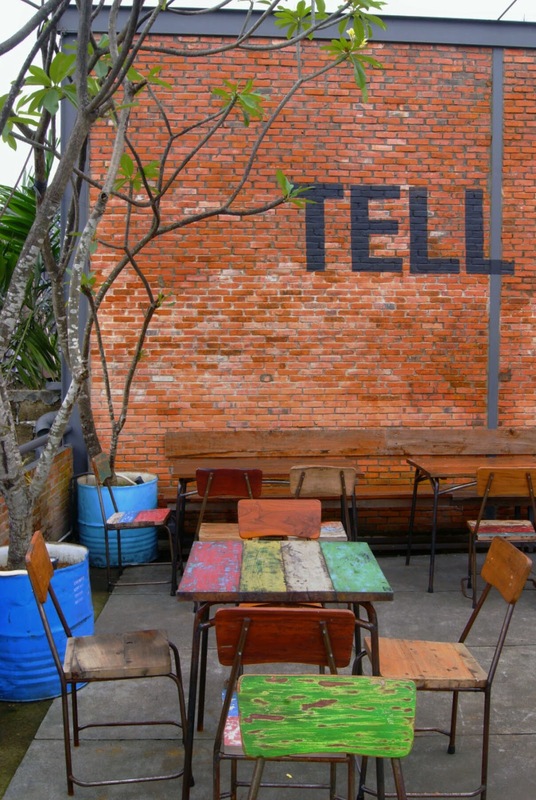 You can easily find Two Stories by Bogor Medical Centre driveway and just 50 meters away from there. Two Stories is a 2 storey free standing building. 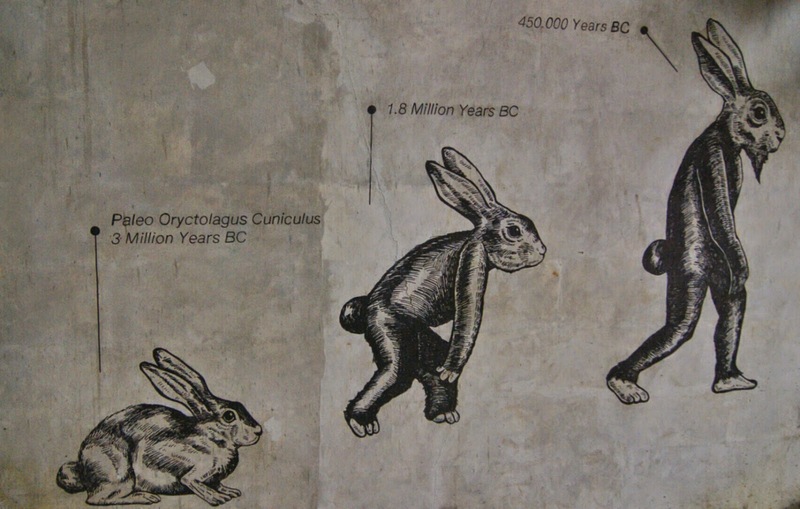 Two Stories come with those common Industrial concept with unpainted walls and unfinished bricks and hipster-looking Mural Painting all over the place. 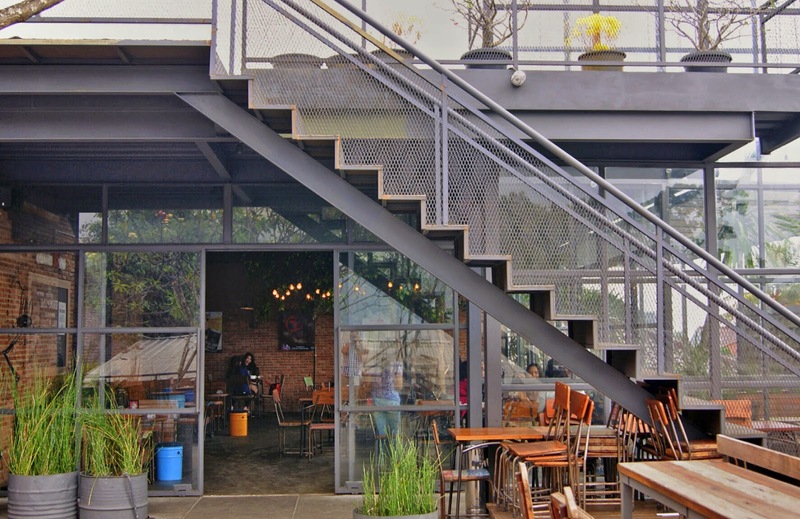 The 1st level is non-smoking area with indoor concept while the 2nd level is smoking area with an open air space and indoor as well and also more natural lighting which is good for Food Photography purposes that'll make you drooling like crazy hehe, just kidding. 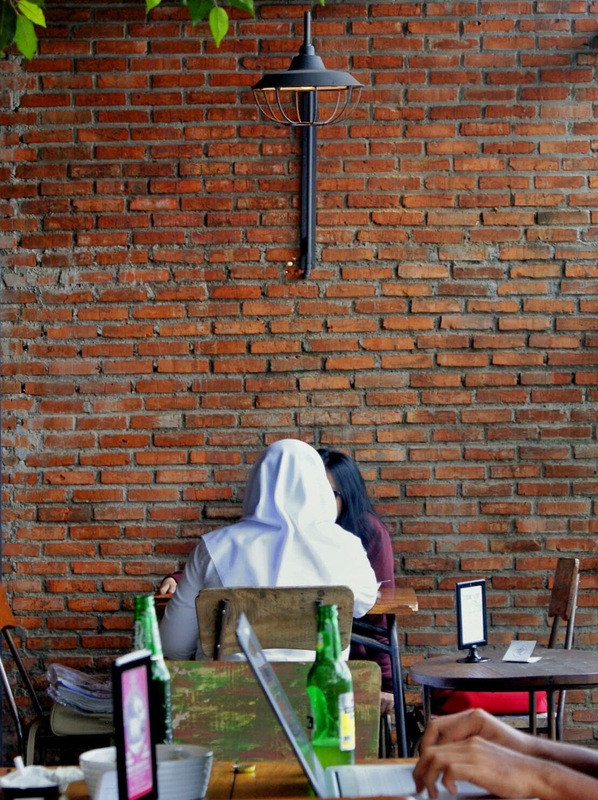 The guests here are mostly prefer the smoking area even if they're not a smokers, it because the social media purposes nowadays that attract them to pick the 2nd level. 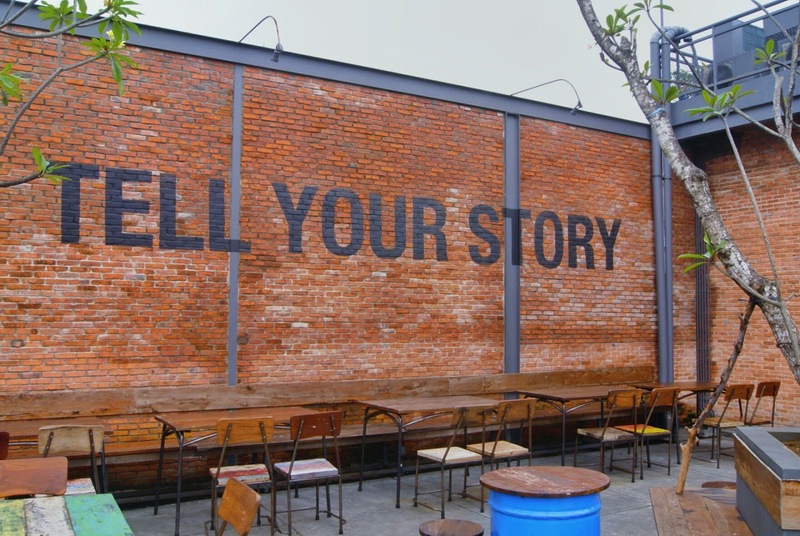 If you're notice those brickwalls with "TELL YOUR STORY" tagline over your Instagram feeds, then you know where it is. 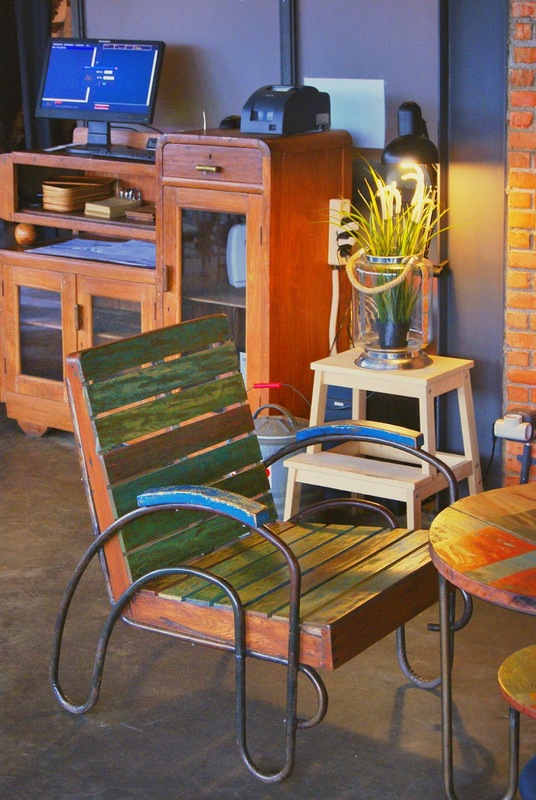 Two Stories is such a great place to be for a casual dining with warm-hearted ambiance to offers. 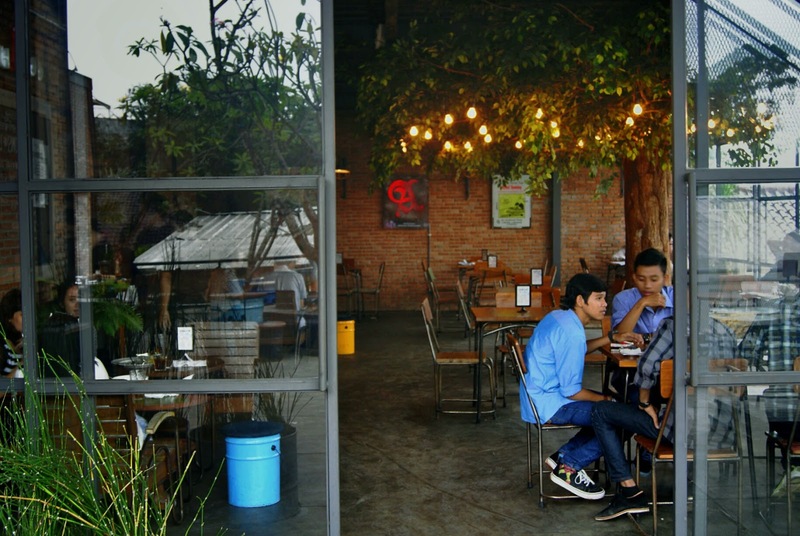 You can spend your time here for lunch, afternoon meals having a light menu and enjoy a cup of coffee and having quality time, or even such a romantic dinner for couples. I came to Two Stories with some of good folks around 2 PM, and since it's kinda gloomy that day so it's just a perfect time to dine here. Usually if you wanna really have a good time here, the perfect timing of visit if i can recommend you is from 2 PM - 5 PM because the weather is not too hot and just perfect lighting. 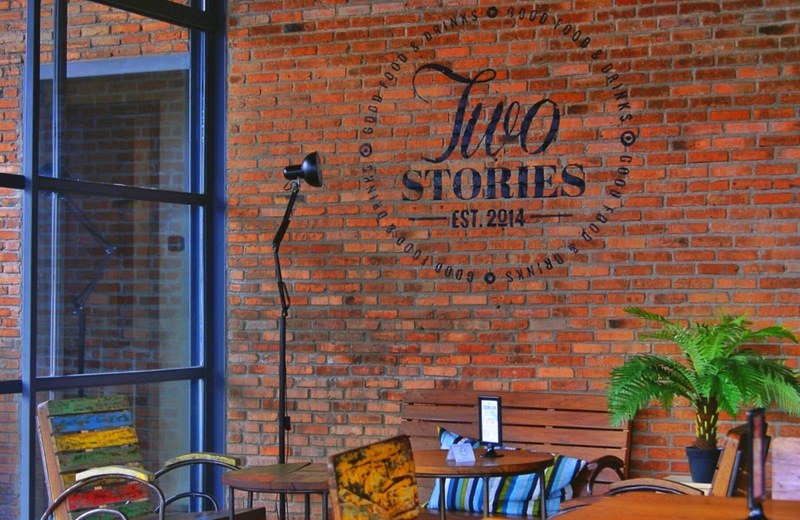 Two Stories is mostly serving Western food and also Asian Fusion dish, they're also offers wide range of menu from Salads, Soups, Appetizer, Main Course, Desserts, Coffee, Mocktails, and Beers. The man behind the magic kitchen who creates the menu here where all those goodness come from is Lucky Andreano (Masterchef Indonesia Season 1 Winner), so you have no worry about the quality here perhaps. When you're in doubt with choosing the right menu, just ask the server for recommendation and such a short explaination for the dish, and that's what i'm doing and it might help you out to stick with the right choices. When you're looking for a good starter or not in the mood of having heavy meals, so this one is the one you must have to here. 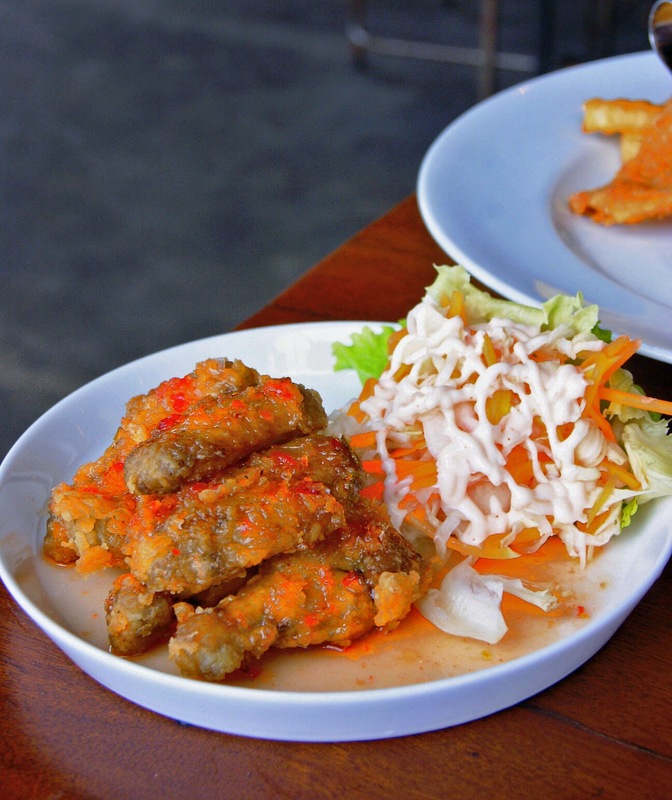 The chicken wings coated with batter and flour then deep-fried, toasted with spicy, soury, and sweet sauce that really refreshing and kick-up your palate. 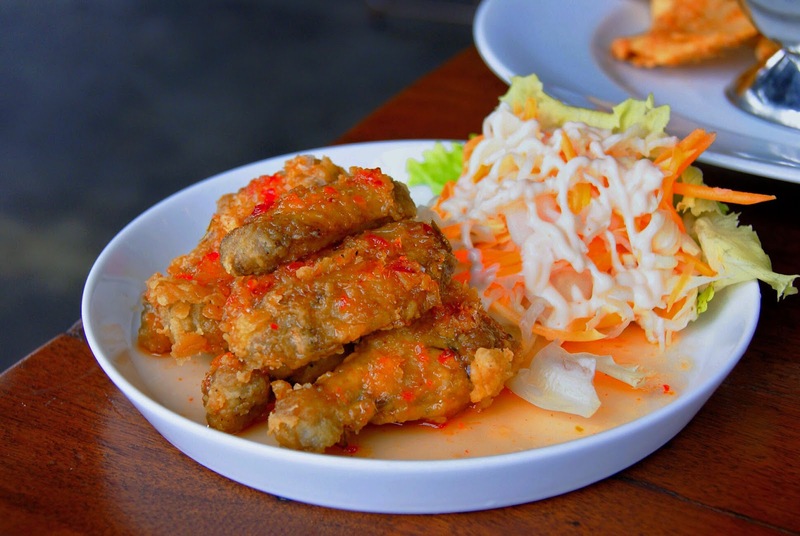 The chicken wings is crisp on the outside and juicy on the inside, and the sauce that compliment the chicken was really good and really mouth-watering dishes. 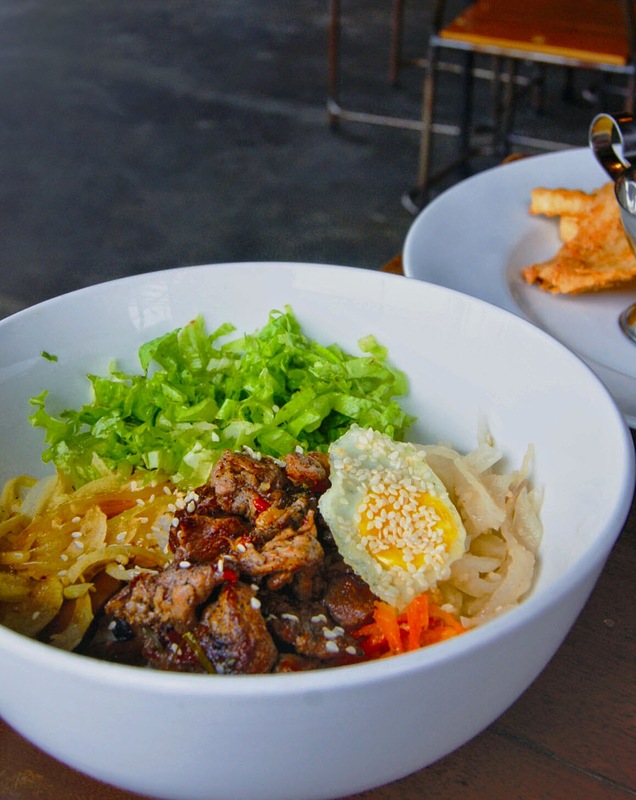 Thai and Korean combination in a bowl ? I know i'm gonna love it. I thought it will served with Gochujang sauce, but it's not. This version is more like savoury, buttery and spicy. 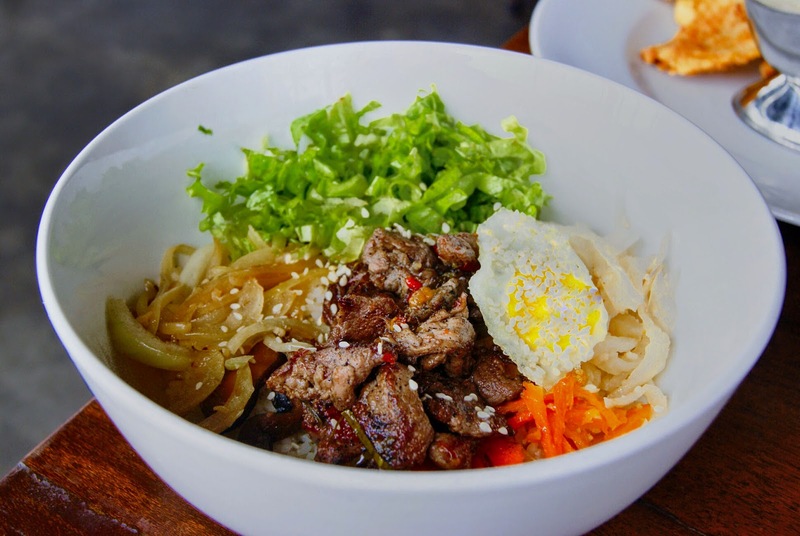 The Bibimbap comes with Garlic Butter Rice that really good and tasteful, served with sauteed onion, carrots, napa cabbage, and iceberg lettuce. And the star is the grilled thai beef which marinated with thai herbs and seasoning like fresh cilantro, chilli, soy sauce, fish sauce, sesame oil, lime juice, palm sugar, ginger, and garlic that really gives strong, aromatic, and spicy to it and it has a really nice grilled texture. Try to mix it up and have a spounful with all component included, and that was the moment of truth. Wow, i'm not gonna lying, this is the total explosion in my mouth. The garlicy and buttery rice, the crunchy texture from the vegs, and the tasteful and aromatic thai beef, all gathered and burst in my mouth. That was a foodgasm for me, you might say that i'm kind of overwhelming but here i am speaking the truth to you, and even my folks have the same commend with me. Whenever i come back, this is the must have item for me. 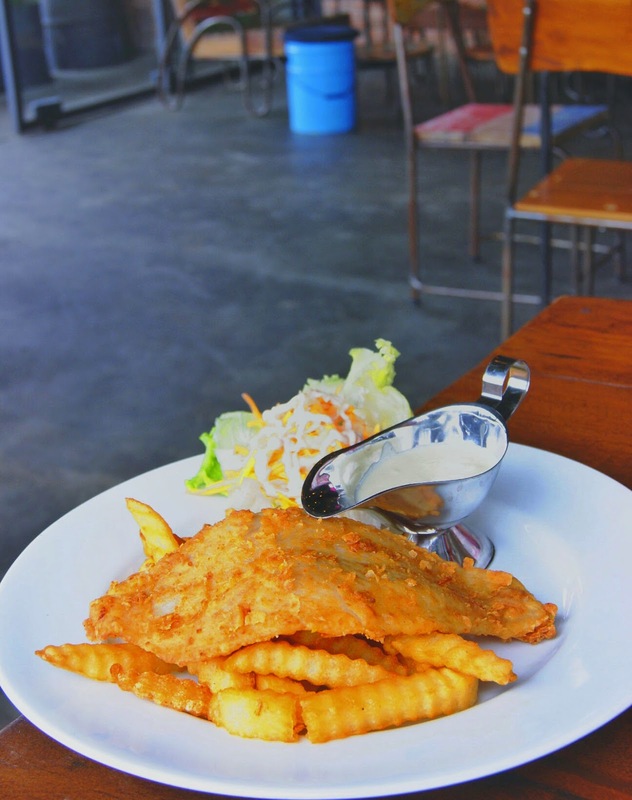 This is actually a Fish & Chips dishes, and i must say that this version is one of the best i've tried so far. 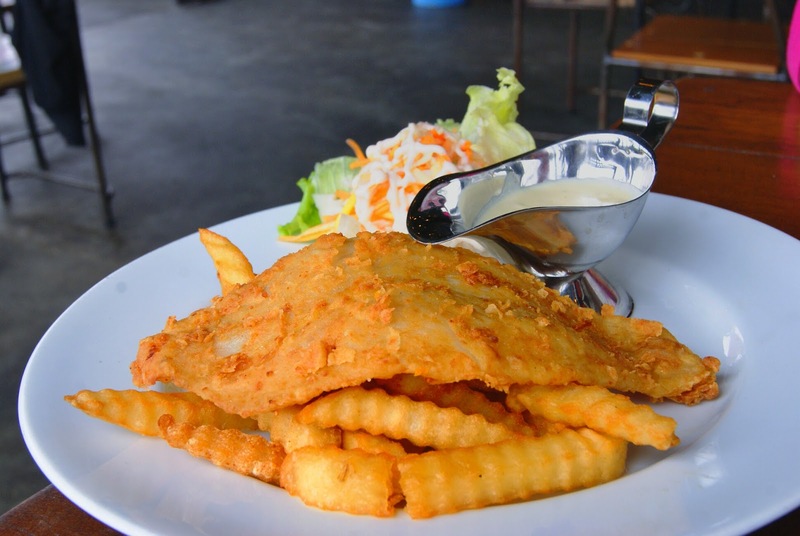 The dory fish is really soft and moist with nice and crispy coating, the chips was good and the cheese sauce was nice and creamy but i found out the cheese is too overpowering, maybe with just a slightly hint of cheese would be perfect. but overall it was a really good dish. 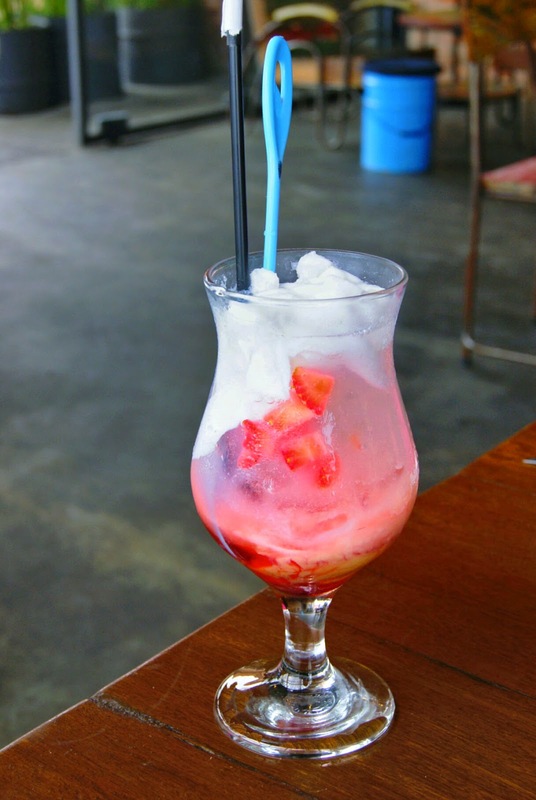 The typical of refreshing mocktail that you need during the day. 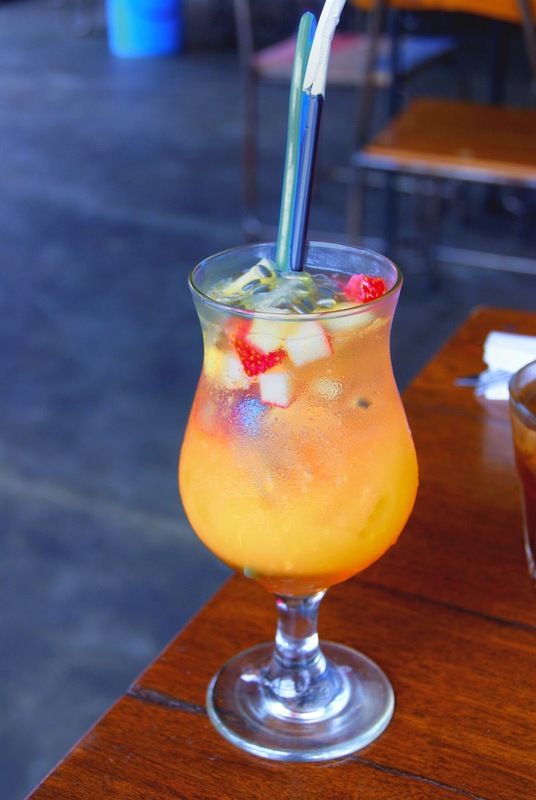 The combination of passion fruit, orange, and other tropical fruit be like, filled with diced fresh fruits and topped with soda water that make this mocktail a total punch. Such a good way to clean your palate after eating creamy dishes. What's so happy about this ? i guess it name is originated from soda gembira, the famous street foods mocktail in Indonesia which means happy soda, the combination of strawberry based soda with condensed milk, and i found it to be quite similar to soda gembira but they mix it up with cocopandan syrup, sweet condensed milk, coconut water, coconut meat, and soda water. Flavor-wise i just love the taste, it's sort of milky but really refreshing because the use of soda and coconut water and the sweet and nice aroma from the cocopandan syrup. Avocado and coffee just being a really good friends lately since the cafe and coffee shops culture is flourish all over the big city like Jakarta and the city surround it like Bogor, Tangerang, Depok, and Bekasi. 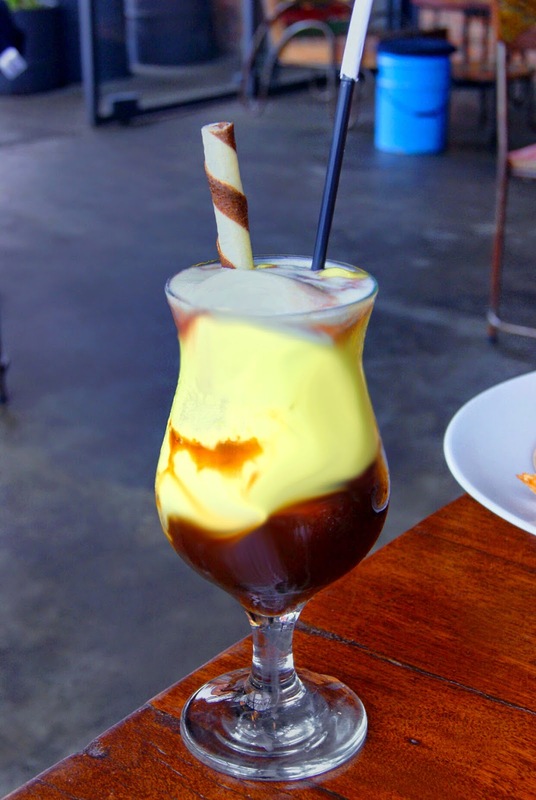 The Creaminess yet Buttery texture of Avocado is just blended with the nutty, acidic, and bitter taste of Coffee, while the Vanilla Ice Cream gives the sweetness and milky flavor to it. 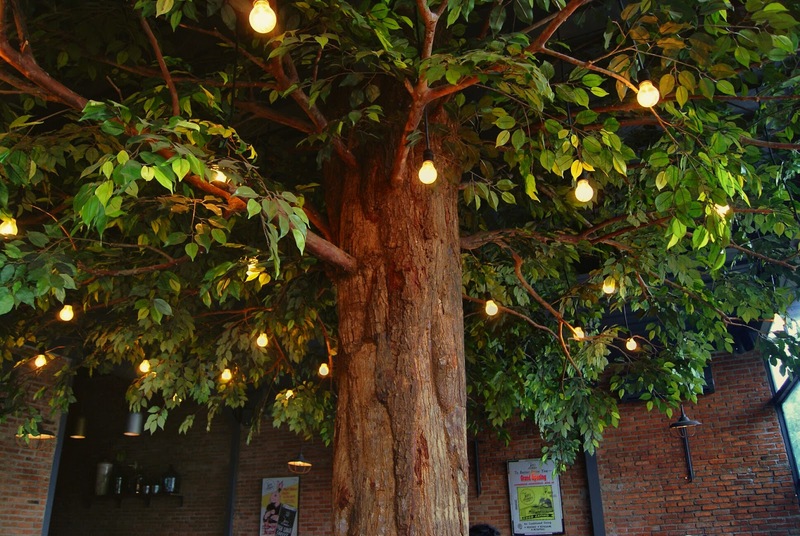 For an avocado and coffee lover out there, you might like it. How can you resist the foamy and creamy dessert like mousse ? To be honest, i can't. 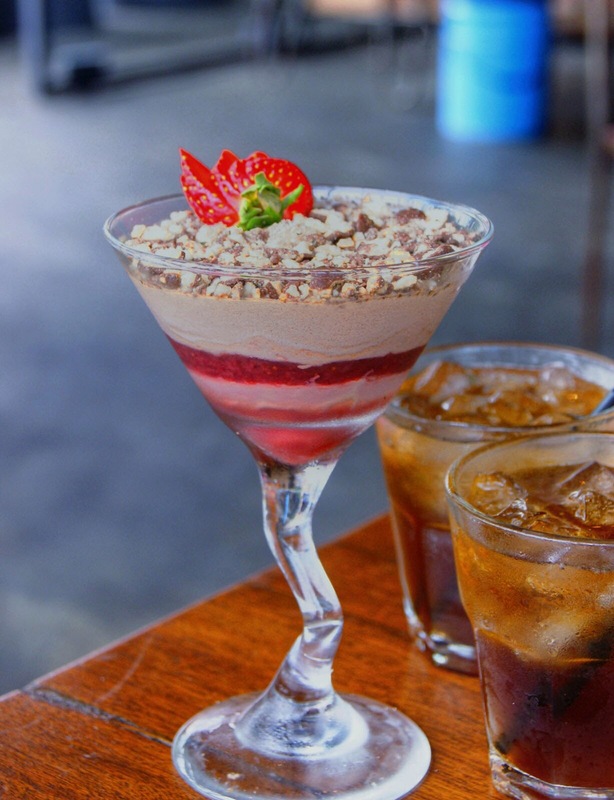 The chocolate mousse is fit to my liking that has a nice chocolaty flavor but not overly-sweet, it's layered with strawberry jam and topped with shreded chocolate bar and biscuit crunch to add a nice texture. If only the strawberry jam is not that much, i think a thinly spread jam is just enough to give such a soury-berry flavor to the chocolate mousse, and maybe they can add more chocolate mousse to replace the rest of the jam. However it's such a good way to finish your meals.